Today, Chrysler Group LLC announced the names of several new Chrysler Group directors. Hermann G. Waldemer joins the Board of Directors, replacing Douglas Steenland, whose appointment to the Board in July 2009 has now expired. 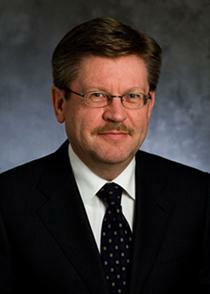 Most recently, Waldemer served as Chief Financial Officer of Phillip Morris International. The Chrysler Group Board of Directors has increased in size, now including 13 members. The following executives are some of those included on the board: Reid Bigland, Giorgio Fossati, Michael J. Keegan, Michael Manley, and Richard K. Palmer. All appointments went into effect on June 10, 2014.